8 hours – hot or cold. Vacuum sealed lid – simply flip to open. Sleek Ergonomic design for on the go. People taking coffee to work is one of the best known uses for the pioneer travel flask. 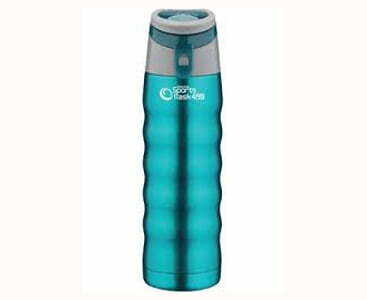 It’s light, durable and will keep your coffee warm for hours. The flask keeps drinks cold too. If you’re an adventurer, then the unbreakable inner body of the flask is perfect for taking this flask outdoors with you. Why not browse our great range of fresh roasted coffees that go perfectly with the travel flask.